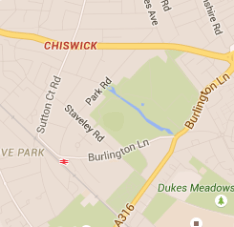 You can count on our company in W4 Chiswick to get the sofa cleaning done for you. Our expert technicians rely on highly-effective and innovative cleaning methods when handling your soft furniture. Our professionalism, hard work and cleaning know-how have earned us a top-notch reputation among our clients. If your sofas need to be cleaned or freshened up, fret not! All you have to do is contact us in and we’ll get the job done in no time! 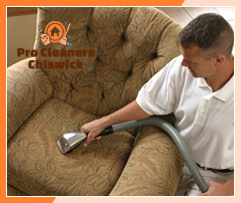 We at Pro Cleaners Chiswick are professionals and know what needs to be done to clean up your sofa. Upholstery gets stained easily and quickly becomes smelly and dirty. Our technicians use a variety of efficient methods and effective cleaning products to deal with the stains on your upholstery. We offer steam and dry cleaning, as well as shampoo cleaning – the choice is yours! No matter what method you have opted for, one thing’s for sure – you furniture will look as if it was just delivered from the store. It’s important to remember cleaning your sofa’s upholstery frequently would remove the dust and dirt that usually gets trapped in your soft furniture. Apart from that cleaning sofas on regular basis helps remove all allergens like dust mites and bacteria from the upholstery – if they remain there the smell would sure not be pleasant. Accumulated dust and micro-organisms give your sofas a rather dull look as their colour appears to be faded. However, we at our company use organic products to change all that – they are non-toxic for you and your family, but when it comes to stains and dirt, they are pretty destructive. 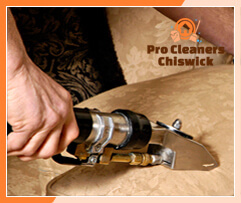 Allow one of the best upholstery cleaning companies in Chiswick London to make your sofa fresher and sanitary with our professional cleaning services. Satisfaction is guaranteed! All you need to do is dial our number and book us.